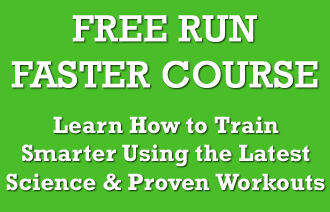 Bouncing back after a marathon is not exactly easy, but at least there are a lot of resources out there that you can turn to for guidance, like our free 9 part ultimate marathon training guide for example. With half a million Americans finishing a marathon every year, there’s enough trial-and-error going on in the real world to figure out the best way to recover after a marathon race. But what if you’ve just finished an ultra marathon? What’s different about recovery after an ultradistance race versus a “regular” marathon? The events are sort of similar: you spend a long time on your feet, covering a large amount of distance as fast as possible. However, there are some distinguishing factors that change up the game plan for recovery after an ultra. This post is going to help you minimize the recovery time you need after pushing your body to the limit in your race, and help you get back to chasing down that new goal on the horizon, as we runners are always thinking about our next challenge. You’re going to learn why ultra’s are so much more damaging than any other distance, how to prevent post race sickness that 2/3 of ultra runners struggle with, and why you need to consider the mental side of ultra running. To top it off, you’ll even get 25 tips from some of the best ultra runners in the world for how to recover from an ultra marathon as quickly as possible. 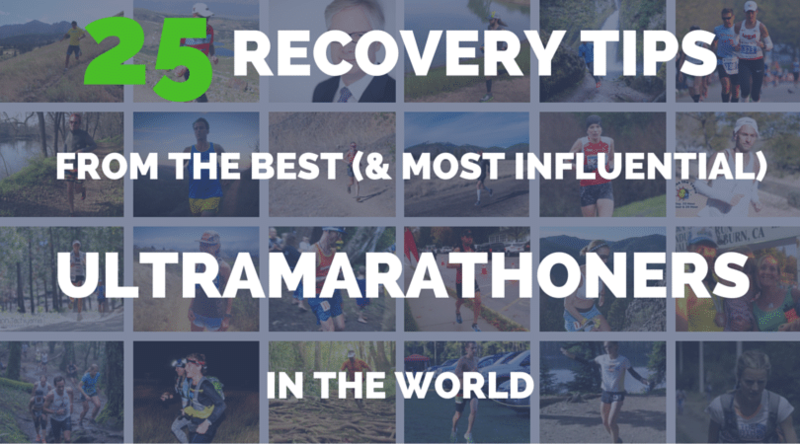 So would you like to learn how to recover after an ultra marathon? How Does Racing an Ultramarathon Beat Up My Body? Most ultramarathons (well, the popular ones, anyways) tend to be a lot longer than a marathon, and are usually run on much more rugged terrain. Sure, there are some 50 km road races on fairly forgiving courses, and for these, a traditional marathon recovery plan will probably work just fine. Just err on the conservative side, in case those extra five miles took a toll on your body. However, if you’ve just finished something more demanding, like fifty miles on trails, you should consider how the demands of the race will impact the recovery process. The extra distance and more extreme hills you’ll encounter in an ultramarathon mean you’re bound to do more damage to your leg muscles. More importantly, the researchers found that muscle damage increased more rapidly in the second half of the race. This suggests that muscular damage during an ultramarathon isn’t a linear process—so a fifty mile race might be more than twice as hard on you than a marathon. Rugged, hilly courses induce more muscle damage too. Unfortunately for fans of ultradistance trail races, downhill running is one of the most intense eccentric muscle workouts you can do. In fact, it’s so effective that studies investigating treatments for muscle soreness often use downhill running to induce muscle damage! Since ultramarathons often cover much hillier routes than typical road races, this will be yet another cause of increased muscle damage. For both of these reasons, you should probably take more time off after an ultramarathon. You’ve done a lot more damage to your muscles, and you need more time to recover. Another reason to rest up is illness-related. Taking a 600 mg vitamin C supplement for fourteen days after an ultra can reduce your risk of getting sick3. More importantly, put a focus on the same old get-healthy basics you already know: eat lots of fruits and vegetables and get a lot of sleep. 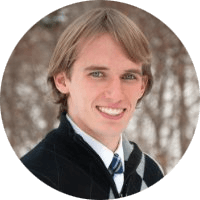 Listen to our interview with world expert Dr James Maas for more about the importance of sleep, if you are not already convinced! One final variable to consider is mental recovery. Staying focused and concentrated for five, eight, or twelve hours of running takes a tremendous amount of mental energy. As we recently discovered when we told you that runners should you should avoid doing anything that’s very mentally challenging, or that takes a lot of mental effort or willpower before a race or an important workout. We know that the mental aspect of concentrating for hours on end does take its toll on our bodies. Although spending mental energy can’t be quantified the same way that physical energy can, with oxygen consumption or caloric cost, it’s still just as relevant to consider from a recovery perspective. In the days following an ultramarathon, make a conscious effort to do more relaxing, regenerative activities and avoid, if possible, stressful and mentally taxing ones. As you return to training, you should probably delay long, tough workouts or races for several weeks until you feel mentally fresh again. Relax, take it easy, and spend your newfound free time doing things you enjoy before you work back into training and do it all over again. So other than scaring you with facts about how damaging ultra’s are, encouraging you to you sleep and take your vitamin C, and reminding you that you may have trouble concentrating for hours on end, what else can ultra runners do to recover as quickly as possible? Don’t be afraid to take several days to several weeks totally off from training – and when you resume training come back very slowly with low volume and low intensity for several weeks at least. Patience is the most important principle for ultra recovery. Coming back to hard/long training too soon is counterproductive. Well, that varies from person to person and race to race. Let your body be your guide; if something feels too hard, it probably is. Ironically, when in doubt, more patience will probably lead to regaining speed and sharpness sooner. Athletes might also consider an “optimized fat metabolism” diet as described at vespapower.com, which drastically decreased inflammation and may reduce recovery time. Training for an ultra is all about pushing yourself beyond fatigue, beyond pain, and perhaps beyond reason. Recovering from one is all about giving yourself a break; about recognizing how much the race taxed your system, your family, your friends, and your job. Getting everything back in balance takes patience just like training, and it is equally important if you want to make ultra-running part of your life and not merely a one-time stunt. I have a few tips for recovery but I think if I could only provide one bit of advice or if people were only going to focus on one thing that I think has the most bang for your buck is to keep moving. By that I mean after the race, especially a big event the last thing you feel like doing is walking around, swimming, playing but I feel like keeping the body moving easy is a big factor in allowing the body to start the healing process. Gentle movement allows the muscles to gradually slow down, keep working and then start to repair so you are ready to go when you ask your body to do something again. Take at least 2 weeks of easy recovery after an ultra. This should include more rest days from activity than normal and any runs should be short and at a very relaxed effort. I also recommend focusing on getting as much sleep as your body needs during this time and eating a healthy diet. It can be easy to feel motivated after a great race and want to immediately move onto your next focus race, but in order to do that you first need to respect the stress you have put your body under by training for and racing an ultra, so you will perform much better in the long term if you hold yourself back a little, just do easy short runs, sleep lot, eat good food and ideally get a few gentle massages to help the body recover. An ultra is different than any other race and recovery should be taken seriously! Normally, one feels pretty good within a week or so post-race. However, there is so much deep damage that occurs (peripheral and central) that takes much longer to heal. Despite feeling good, it’s important to take some down time after an ultra. The longer the race, the longer the recovery. A 50k may only take a couple weeks, but a 100-miler can take 4-6 weeks. Getting back into running too soon is how injuries, overtraining, and central fatigue happen. After an ultra take off the number of days until you feel good, then take off 2-3 more! Get some food in you, preferably a liquid recovery drink right away with a big meal a little later. Next is get your legs elevated and compressed. The best thing I’ve found are active compression boots like NormaTech or Recovery Boots. Sit in those for 45min or so and your legs will feel like a million bucks afterward. Like you never ran an ultra. In the days following go easy and roll it out. I’d recommend a day or two off of running at least and instead do a rolling/yoga session that increases blood flow and helps sort out all your torn up muscle fibers. Yoga will help reactivate overworked muscles and stretch things back out. Take a quick 20-25 minutes bath with a few cups of epson salt following with well choosen recovery foods. It could be different for everyone but it has to be healthy calories with as much nutrition as possible (quinoa salad, salmon, sweet potato, etc) and try to rest the body and legs for a few hours. Compresion socks are always helpfull its does help with circulations. Finally a good quality sleep is the best to fully recover. No matter how bad it hurts, the day after the race you’ve got to jog a bit. Maybe it’s a half mile, maybe a few miles, but get out there and work that junk out of your system. I’d encourage ultrarunners to look into sensory deprivation tanks as a means of recovery. Basically, it’s a tank or tub filled with a solution of water and epsom salt. The epsom salt increases the water’s density, allowing the user to float on the surface. Usually the tanks are completely black and sound proof, allowing for a calming environment. The floating sensation allows the user to completely relax damaged muscles and epson salt helps to decrease inflammation. I float every couple weeks when I’m training hard and always after strenuous race efforts. Rest and recovery are likely the most under appreciated aspects to reaching ones potential as an ultra runner, preventing injury, and enjoying longevity in the sport. My approach is multifaceted and includes nutritional, physical, and emotional/spiritual recovery. Find what works for you and never be afraid of breaking from the plan and taking an extra day off when your body, or mind needs it. What I would tell runners about recovery from an ultra is that they need to listen to their body and take some down time. You shouldn’t start back until you’ve rested and the niggles/pains have healed. Otherwise you end up prolonging the injury or possibly causing another one by compensating. Learn from my experience. I thought I would be ready to run a couple days after my ultra, and yes I could run, but I ended up getting niggles that continued throughout my season. If I would have been smart and took my own advice I wouldn’t have ended up getting an injury that has made me take forced time off to recover from. So, allow your body to heal after ultras, your body isn’t a machine, it needs adequate time to heal all the tendons, ligaments, and muscles that have been damaged. Also as ultra runners, our minds are wired to push limits, push through pain, and push our bodies beyond normal…which also means we like to push recovery. Please, remember you want to be able to do this for a lifetime so treat your body kindly. Find other activities to keep you happy. If you must be active, walk, run, bike, weight train, etc. When it comes down to it, it is all about being mentally strong during this time. Take that as a challenge and be strong enough to do it…I dare you! The more frequent you race the quicker your recovery. Counter intuitive but it is what I’ve experienced especially since I’ve been doing the 6 day races. Don’t be in a hurry to return to training. Ultra runners can get a bit obsessive about running, but it is ok to take a few days off or even a whole week! If watching cheesy television shows sounds better than running, then do that! After an ultra is not the time to force yourself to get out and get a run in. And few days off will not cause you to lose any fitness! When you do start back to running, keep it easy and avoid any hard workouts. Your body can’t recover if you are piling on more stress! Do not rush the process. After an ultramarathon, when endorphins are running high and memories of the experience are still fresh in one’s mind, it can be very tempting to bounce back into training too quickly. I’ve fallen victim to this many times, and have learned the hard way that exercising patience is hugely important. Of course this is far easier said than done, as the amount of time it takes to recover from an ultra varies widely between races. It’s dependent on so many factors – the distance of the event, the surface, whether it’s at altitude, the amount of elevation gain, and the intensity of one’s race effort are a few things that come to mind. Thus, developing a strong awareness of the body is crucial. I like to take things day-by-day, paying close attention to cues like soreness, heart rate, appetite, sleep quality, and overall energy levels. From a mindset standpoint, I always remind myself that the body grows stronger during the recovery process vs. the actual race/workout. Learn to embrace the downtime and view it as a welcome physical/mental break from the grind of training. Love your body, listen to it closely, and ease back into things as it tells you to. The time will fly by, and you’ll find yourself much stronger as a result! First, I concentrate on good, quality food post-race for recovery and rest. I follow Optimized Fat Metabolism (OFM) strategy — high fat, low carb, moderate protein nutritional path (no grains, no sugar). I really dial back my carb intake for recovery and cycle my body into ketosis to aid and speed up my recovery. Also, I make sure and get plenty of sleep. Last but not least, I get moving again by hiking first before jumping right back into running, especially post-100s. I think the biggest post race recovery tip that often gets neglected is nutrition. Racing an ultra already generates a lot of breakdown and inflammatory processes in the body. You don’t want to compound that by adding tons of inflammatory foods on top of it. I like to focus on nutrient dense whole foods with lots of dietary fat in post race recovery periods. This has helped me flush out the inflammation and get back to running quickly. Recovery is JUST as important as training. Sleep, Eat, and take time off from running! The longer the race, the more time you need to recover. For best results, pick only a few ultra races per year to allow time for recovery. Running an ultra can definitely take its toll on the body and mind. Having two young daughters at home as well as a full time career, so I don’t have the luxury to just put my legs up and nap, so recovery for me may take a little longer. I try to suppress the urge to go out and run, which is challenging with post-race highs and perceived energy. Depending on the race, this may be anywhere from one to two weeks completely off of running. I still remain active, but it may be on the bicycle or hikes. During this time I try to get as much sleep as possible. Again, challenging with young kids and a job. I typically feel pretty ravenous for a few days after a big race, and use this time to refill my tanks with good quality whole foods. But perhaps the most important thing during this period, is focusing on the finer things in life: family, friends, other activities, and careers. This really helps to put the bigger picture of life into perspective when we can be so narrowly focused on a singular goal. So what recovery really comes down to for me is lots of rest, eating well, light alternative exercise, and focusing on the important things in life that may have been neglected while training. Then, listen to your body and ease back in to the next training block. I’d say that listening to your body is the most important thing in recovering from an ultra. Sometimes you feel great afterwards and other times you feel completely wrecked. It all depends on the distance, course, and effort exerted during the race. Since no race will leave you feeling the same way, being in tune with what your body wants is really important. Whenever you’re in doubt, err on the side of caution. People often make the mistake of resting as completely as possible following big goal races. While one need not run, walking or jogging at least a couple times a day for the first several days will help ensure that injured tissue doesn’t become scar tissue. Proper and full recovery requires movement. First, I try to go for a walk a few hours after long events (usually 1/2 mile after I’ve had a short nap)! I find it helps keep things from locking up too much! Sleep is a HUGE priority for the next few days! Finally, after races over 20 hours, I make it a rule not to start running again until I absolutely feel like I have to run! Feeling like I want to or should be running isn’t enough! After that, I ease back into it slowly trying to keep expectations from your body as low as possible for a few weeks! Ultra recovery has a couple different different aspects: healing torn up muscles and clearing out bad chemicals/recovering on a cellular level. Usually, after an ultra, the walk to the bathroom the next morning is a walk of shame/pride. After the Way Too Cool 50k, it took me 5 minutes to go 5 yards! The hips ache, the quads hurt, and the chafing burns. Those muscle-based pains are the first priority. I recommend using hot showers/baths, light stretching, and light massage, combined with a diet rich in protein and fat. My routine is to do a 30 minute walk, followed by a hot shower to heat up the muscles, finishing with easy stretching of the calves, quads, and hamstrings. With nutrition, it’s essential to drink lots of water, eat lots of fun foods (a bacon cheeseburger a day keeps the overtraining syndrome away), and use beer as needed to reduce inflammation. One important thing is not to take any NSAIDs–they may reduce inflammation, but research indicates that they can slow adaptation to stress. Plus they can mask underlying issues that may pop up post-ultra. Cellular-level healing is connected to the sore muscles, but takes a bit longer. After 3 days, you will probably get your bathroom sprint down from 5 minutes to 5 seconds, and you will feel ready to run. However, ultras can have impacts that may be imperceptible without some sort of objective feedback. I recommend some easy jogging starting 2 or 3 days post-race, but being careful to monitor effort using a heart rate monitor or perceived exertion. The key is to keep your heart rate purely aerobic for one full week at least. Most likely, you will find your heart rate spiking, especially on climbs. It is essential to back off, slow down, and let your body heal on a cellular level. If you are using perceived exertion, keep it below 4 on a 1-10 scale. Don’t start structured workouts for a couple weeks if you can, especially after 50 or 100 mile races. Preferably, before you start building back, you will have gained a bit of weight. That will provide your muscles and hormones with some cushion for the pushing to come. Focus on full recovery and don’t think about that next race on the calendar. Download a Printable Ultra Runners Recovery Guide inside your Insider Members area. Giving you a printable version of these inspiring ultra runners quotes to allow you to copy the best in the world, to make the most of your recovery time after an ultra marathon. And please do us a little favor and share this recovery guide with anyone considering an ultra in the future, for there’s a good chance that it will save their running! Kim, H. J.; Lee, Y. H.; Kim, C. K., Biomarkers of muscle and cartilage damage and inflammation during a 200 km run. European Journal of Applied Physiology 2007, 99 (4), 443-447. Proske, U.; Morgan, D., Muscle damage from eccentric exercise: mechanism, mechanical signs, adaptation and clinical applications. The Journal of Physiology 2001, 537 (2), 333-345. Peters, E. M.; Goetzche, J. M.; Grobbelaar, B.; Noakes, T. D., Vitamin C supplementation reduces the incidence of postrace symptoms of upper-respiratory-tract infection in ultramarathon runners. . American Journal of Clinical Nutrition 1993, 57 (2), 170-174. Peters, E. M.; Bateman, E., Ultramarathon running and upper respiratory tract infections. S Afr Med J 1983, 64 (15), 582-4. Inzlicht, M.; Schmeichel, B. J., What Is Ego Depletion? Toward a Mechanistic Revision of the Resource Model of Self-Control. Perspectives on Psychological Science 2012, 7 (5), 450-463.